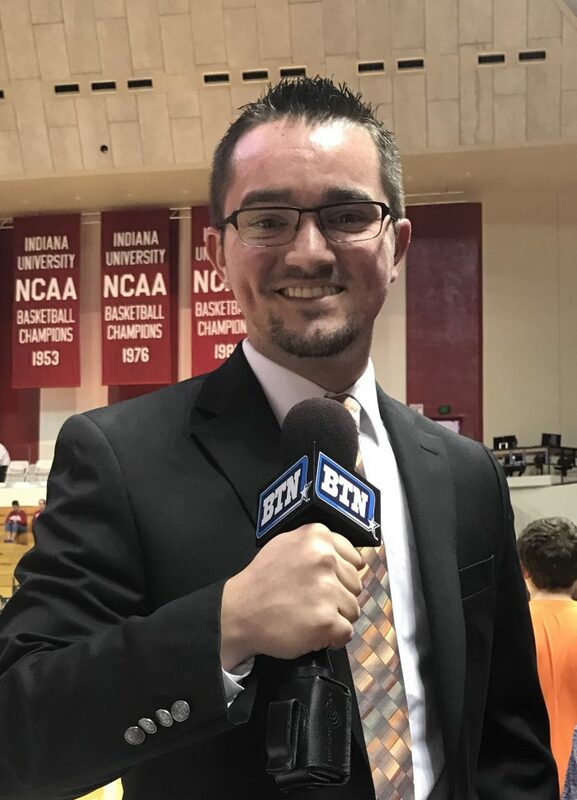 What you did at IU: I was a sports reporter for the Indiana Daily Student for four semesters and covered IU football, baseball, men’s and women’s basketball and track and field. I served as the IDS’ sports editor for the Fall 2015 semester. During my senior year, I interned with Rivals.com as TheHoosier.com’s lead football recruiting reporter, as well as covered men’s and women’s basketball and baseball. Outside of writing, I worked on four different WIUX sports talk shows and four individual basketball BTN Student U broadcasts, made several guest appearances on IUSTV and developed my own podcast through an independent study course. What you do now: I am the Ohio State football recruiting reporter for ElevenWarriors.com. While my primary responsibility is to report on football recruiting, I also serve as multimedia support, meaning I take photos during games, and film interviews and press conferences. What advice you have for Sports Media students: Make friends with people that are also in the the sports media program. Go to speaker conferences. Go to call-out meetings. Take on a leadership role within student organizations. When you do all these things, making friends becomes incredibly easy because you see the same people multiple times. It helps with living situations and develops connections with people you’ll continue to talk to after school. Don’t be afraid to take a local reporting gig or an internship after graduation. Something will come your way. Sometimes (most of the time), it just takes some time. I went back home to Kendallville, Ind., where I covered high school sports and worked my tail off until I got an opportunity in Columbus, Ohio. Make yourself employable. Delve into all sorts of mediums while you’re at The Media School. When I arrived at IU, I only wanted to be a writer, but I jumped into a broadcast class and discovered I could be effective in front of a camera or from behind a mic — two skills that are imperative to learn in the current media landscape. One of the reasons why I was offered the job I have now is because I put a lot of effort into learning how to take photos at my first job after graduation. It’s always worth it.